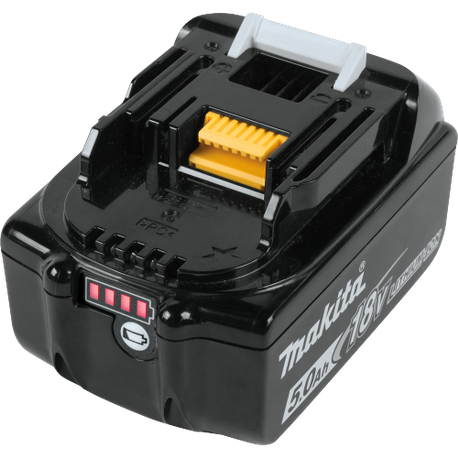 18V LXT Lithium‑Ion 5.0Ah Battery | Tallman Equipment Co., Inc. 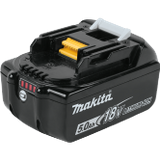 The Makita 18V LXT® Lithium-Ion battery charges faster and works longer than standard lithium-ion batteries, giving you and your cordless tools unmatched performance and productivity to take on the most demanding applications. 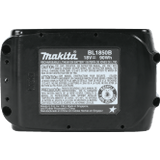 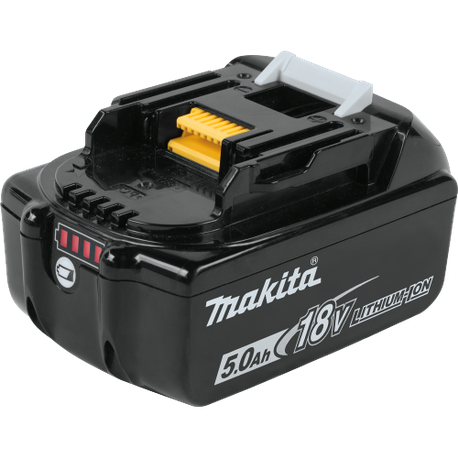 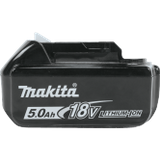 The Makita 5.0Ah battery has a category-leading charge time of only 45 minutes, so it spends more time working and less time sitting on the charger. 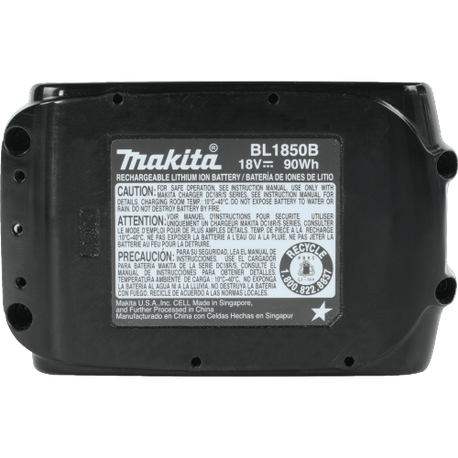 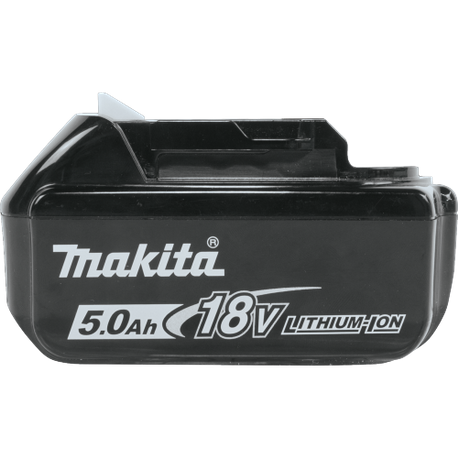 The 18V LXT® 5.0Ah battery is compatible only with Star Protection tools, indicated by the Star Symbol™ and/or Yellow Battery Receiver under the tool.